ATLANTA, Ga. - The fact that more and more people are living in urban areas is a global trend that shows no sign of ending. As a result, homes are getting smaller. Furniture and interiors are being optimised to make the most of the floor area – and previously unused spaces are becoming important. That goes for corner cabinets in the kitchen, too. Vauth-Sagel has already demonstrated its innovation credentials with CORNERSTONE, the Recorner maxx, and the Wari corner. Now it is extending its portfolio of corner cabinet solutions with another new development: the Flex corner cabinet makes optimal use of the space available. In kitchens where the layout incorporates a corner, there are two perpendicular runs of base units. The resulting space under the worktop where they meet measures approximately 60 by 60 centimeters – big enough to make meaningful use of. Unfortunately, many corners aren’t used at all in kitchen lay-outs, or only inadequately. 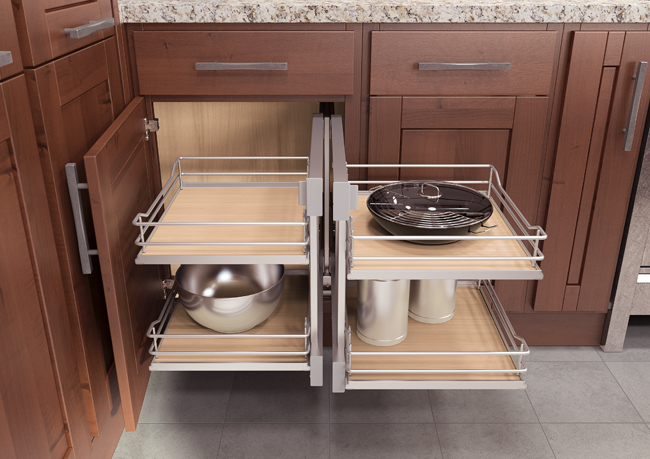 As a pioneer of storage space systems for corner cabinets, Vauth-Sagel has now developed another compelling solution that makes optimal use of every centimeter and ensures easy and convenient access to the stored items: the Flex corner. What makes the new cabinet so special is that it makes efficient use of virtually all the potential storage space. 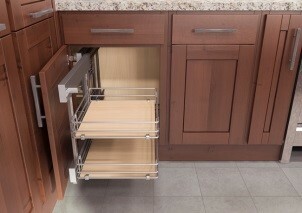 It is both intuitive and convenient to use: the hinged door opens to reveal two baskets within easy reach of the user. With one pull, both baskets can be moved out of the cabinet and either left in front of the carcass or pushed to the side. 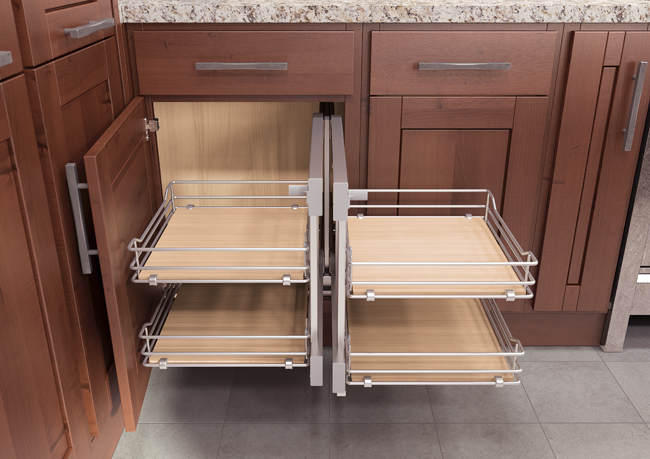 Besides making it easier to load or unload the racks, this also provides access to the second pullout, which automatically glides out of the awkward-to-reach corner. It too is equipped with two baskets, which can now also be moved out in front of the carcass. Just three moves, and what is often an unused corner becomes easily accessible and convenient storage space! But convenience and usability aren’t the only benefits Flex corner has to offer: it is also attractively designed and can be adapted to individual needs. The storage elements are available in three variants: Classic, Saphir and Premea. Customers can choose from different lacquered finishes, a chrome finish and various types of wooden shelves. Flex corner permits maximum versatility when it comes to installation too – from the option of installing the pullouts on ei-ther side all the way to straightforward assembly. 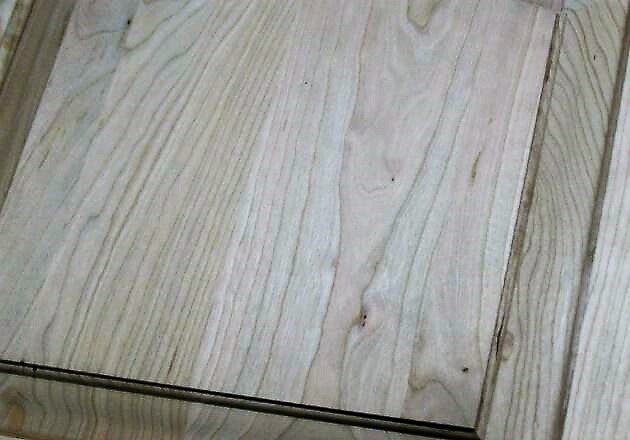 The frame is simply mounted on the floor of the corner cabinet. And thanks to a fitting template, the baskets can be built into the carcass without having to measure anything. An installation video is provided too, of course; together with lots of other information, photos and videos, it forms part of the free Vauth-Sagel app that is available for tablets and can be downloaded from the Apple Store or Google Play – at any time and from anywhere in the world. 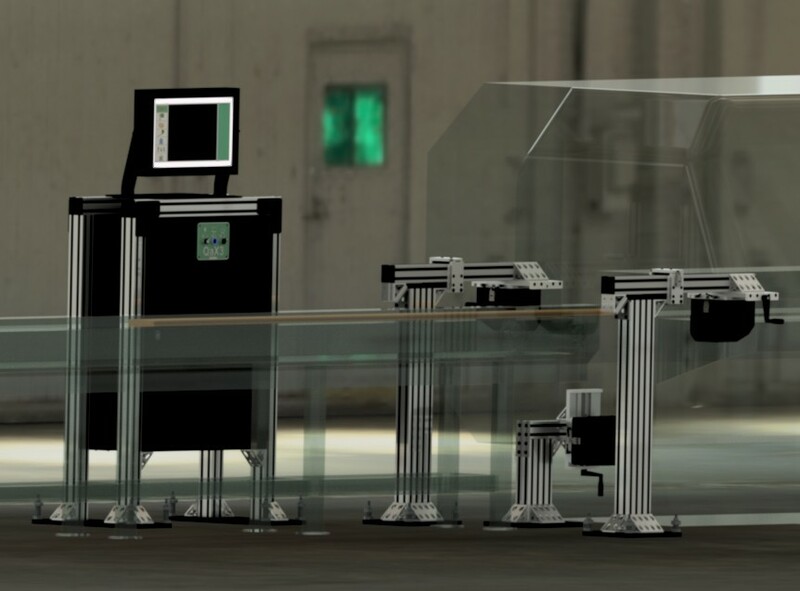 Flex corner provides plenty of options in terms of size too: customers can choose between 900, 1,000 or 1,200 mm for the carcass and 450 to 600 mm for the doors. And the corner cabinet is no less flexible when it comes to depth. While the minimum requirement is 480 mm, 500 and 575 mm versions are also available. A minimum height of 530 mm is required for installation. The two pullouts are each equipped with two bas-kets, each of which can support up to 8 kilograms. Flex corner adds yet another innovative solution to the owner-run family company’s portfolio, joining Vauth-Sagel’s wide range of products for transforming unused corners into functional, easily accessible space. For more information, see Vauth-Sagel.com.